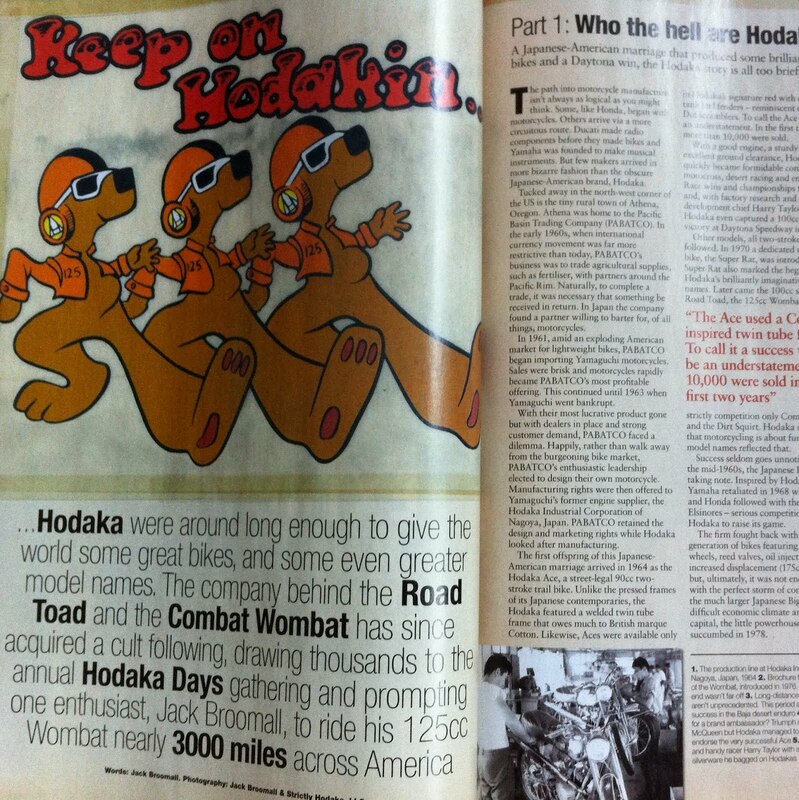 British Magazine "CLASSIC BIKE" features the Hodaka Ride Across America! 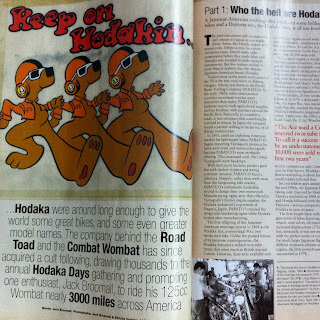 In the February 2012 Issue of "Classic Bike" there is a 6 page article, with lots of pics, covering the 2011 Hodaka Ride to Oregon! Classic Bike is typically available on the magazine rack at Barnes & Noble Booksellers. It's the issue with the Laverda Jota on the cover. Enjoy!